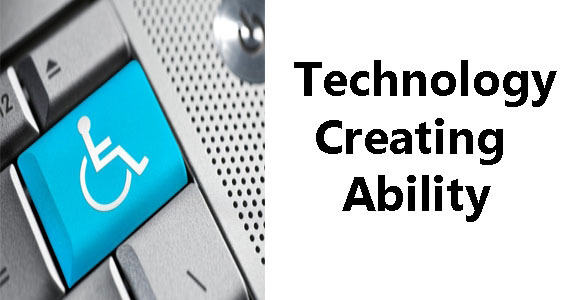 Technology Creating Ability explores how technology is affecting the lives of people with disabilities. This section looks at media accessibility, robotic advances, wheelchair basketball, employment challenges and how prosthetic limbs are progressing. Prosthetic limbs have come a long way since the days of bulky limbs made mostly of wood and leather, which were used by many as a disguise rather than a functional replacement. Newer materials including carbon-fiber composites and advanced plastic have made a big difference in modern prosthetic limbs. These materials have allowed the creation of stronger and lighter limbs. Electronic technologies are pushing prosthetics even further. Robots are no longer something you just read about in a sci-fi book or watch on the silver screen. Robotic technology is reaching new potential and soon enough robots could be assisting people in their homes. This piece explores the technology being worked on at Barrett Technology and how the robots being created could affect the lives of people around the world. People with disabilities face many employment challenges. While the American Disabilities Act prevents employers from discriminating against people based on disabilities there are other obstacles. Technology and office design can ostracize people with disabilities from the workplace. Simple technology and slight design changes can make a big difference, but there is still work to be done. This section explores the need for accessible media and the ways in which it is progressing to keep up with other technology. Accessible media includes everyone in social dialogue. It also makes the latest gadgets usable for anyone interested, leaving less people feeling isolated. People playing wheelchair basketball do not use everyday wheelchairs. Specialized sports chairs allow players to engage in a quicker more competitive game. See what makes basketball wheelchairs different and what players say about why they are drawn to the sport.